The Lexington Inn and Suites Daytona Beach offers beachfront rooms large ocean view family suites and your choice of oceanfront or ocean view efficiencies. Take advantage of our Renovation Grand Opening Specials. We provide the perfect location the style and amenities you want and the most value for your money when visiting the Daytona Beach or Daytona Shores area. Take advantage of our kids stay free policy *17 and under* heated outdoor pool private ocean view balconies and our excellent beachfront location. Additionally refrigerators microwaves coffeemakers free wireless internet and 32-inch flat panel televisions are in every room. For your convenience we offer over-sized rooms with full kitchens-suites and efficiencies. We offer private guest parking and complimentary full hot breakfast each morning. Parking is complimentary but limited and available on a first come- first served basis. Limit 1 vehicle per guestroom. Pets are allowed-charges and restrictions apply. Our location also provides easy access to many of Daytona Beach*s top attractions and businesses. We are within 7 miles of the Daytona Beach Airport and the Daytona International speedway home of the Daytona 500 and Coke Zero 400. Walt Disney World Universal Sea World and Cape Canaveral are less than an hour*s drive away. 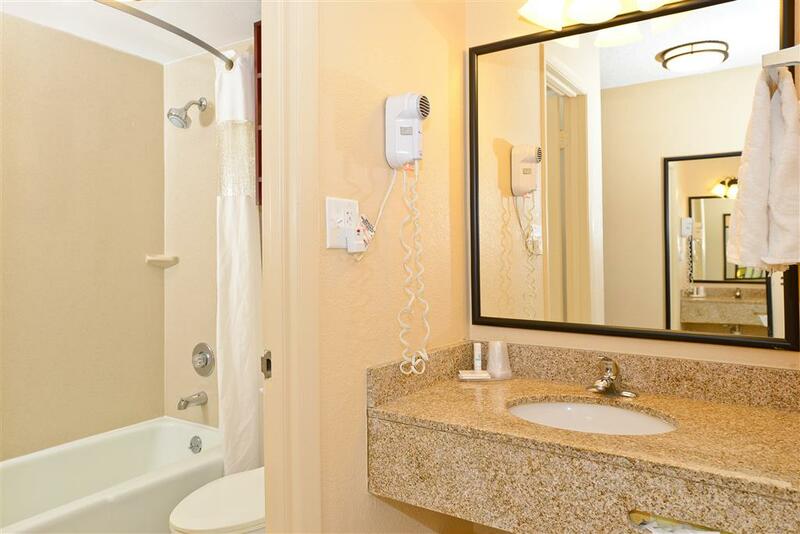 The Lexington Inn and Suites Daytona Beach is your best choice within the Daytona Beach area. Our 106 room property offers the perfect accommodations and location whether you are in town for a vacation with the family in need of extended stay accommodations or traveling with a group. Everything we do is driven by our desire to provide exceptional service and a friendly comfortable environment. We are only minutes from Bethune Cookman College Embry Riddle Aeronautical University Florida Hospital and Halifax Medical Center. Enjoy your time in Daytona Beach by visiting the Boardwalk and Main Street Daytona both less than 10 minutes away. The Lexington Inn and Suites Daytona Beach is conveniently located on US-92 E/W International Speedway Boulevard. Our address is 2323 North Atlantic Avenue - Daytona Beach - FL 32118.